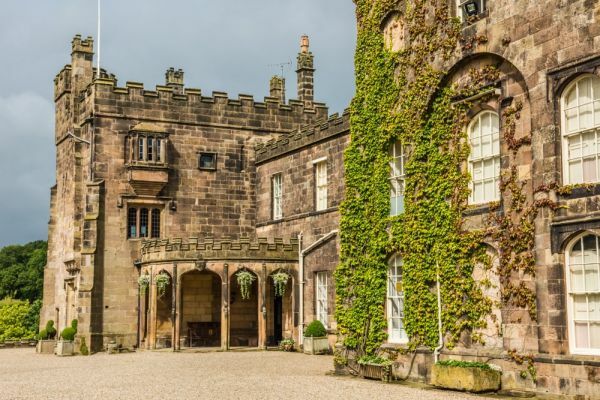 This extraordinary castle has been the home of the Ingilby family for over 700 years, but they were not the first owners. Ripley Castle was included in the dowry of Edeline Thwenge when she married Sir Thomas Ingilby in 1309. Ingilby served at the court of Edward III, as did his son, also named Thomas. In 1357 the king was hunting boar in the royal forest of Knaresborough when a wild boar charged him. Sir Thomas killed the boar, saving the king's life. Edward knighted Ingilby and granted him a family crest of a boar's head. Sir John Ingleby (1434-1499) built the castle gatehouse and married a great heiress, but later took holy orders and became a monk at Mount Grace Priory. A later Ingilby, Sir William, helped quash the Rising of the North in 1568, even though his two sons were among the rebels. One of the sons, Francis, became a priest and was captured and executed when he returned to England in 1585. King James I stayed at Ripley Castle in 1603 on his way south to his coronation. But the hospitality of Sir William Ingilby to the king did not stop him from becoming involved in the Gunpowder Plot two years later. Despite heavy family involvement in the plot, Sir William and his son were cleared of charges. But the Ingibly drama did not end there; in 1644 Sir William Ingilby fought for the king at Marston Moor. 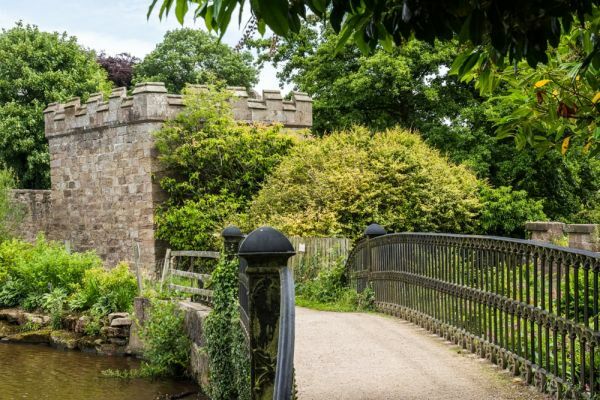 When the battle was lost he fled for Ripley Castle, followed closely by Oliver Cromwell himself. When he reached the castle he hid in a secret priest's hole and left his redoubtable sister, Jane, to keep Cromwell at bay. His sister reluctantly let Cromwell enter, but held him at pistol point all night, preventing him from searching the house. A bemused Cromwell left in the morning, and for her part in the affair, Jane was dubbed 'Trooper' Ingilby. The building we see today was begun in 1548 by Sir William Ingilby. The house was rebuilt in 1780, but the 15th-century gatehouse was retained. The tower block is the oldest section of the current house. 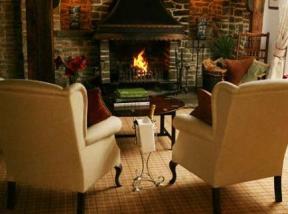 The elegant interiors feature fine Gothic Revival decoration, art, and historic furniture. The Oval Drawing Room contains a set of Chippendale chairs, a reminder that the Chippendale family resided at Ripley for several years. The Library is where 'Trooper' Jane Ingilby held Oliver Cromwell at bay, and the Tower Room features a lovely plaster ceiling, created in just 4 days when the family learned that James I was due to stay with them. The final chamber shown to guests is the Knights Chamber, a 16th-century panelled room that hides a secret priests hole, discovered by chance in 1964. 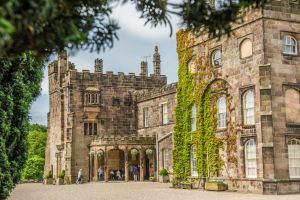 Ripley Castle is easy to visit; the castle is very well signposted off the A361 north of Harrogate, and there is a large free parking area a short walk from the castle entrance. Access to the castle interior is by timed guided tours only. The tour is quite exceptional; our tour guide was extremely good, very knowledgeable, and really made the house, its history, and its owners, come alive. Unfortunately, we were not allowed to take photos inside the castle as it is very much still a private home. 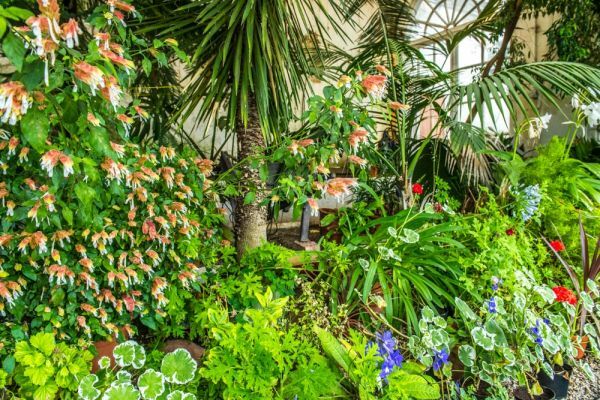 The gardens are well worth exploring. 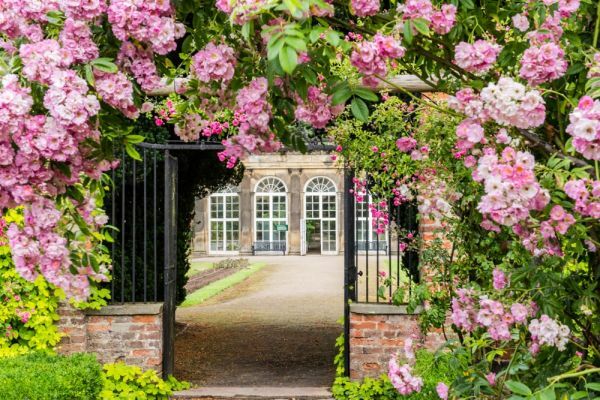 Near the house is the formal walled garden, with a palm house and hothouses built by Sir William Amcotts Ingilby in 1817. 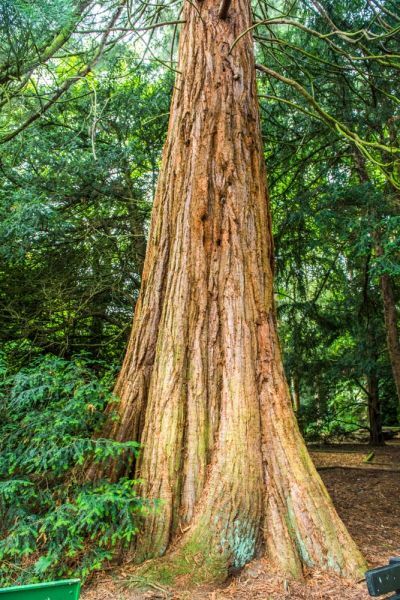 From the walled garden, a long, straight avenue known as Temple Walk runs beside the Pleasure Ground, past mature wellingtonia trees planted in the 1860s. 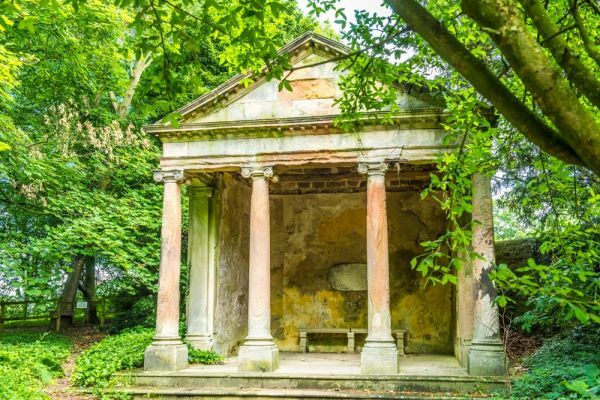 At the end of Temple Walk is a summerhouse in the form of a neo-classical temple. Ripley Castle is a delight to visit. Do take some time to wander around the village itself, with its cobbled square, picturesque pub, and historic medieval church with its unique 'weeping cross' once used by pilgrims. 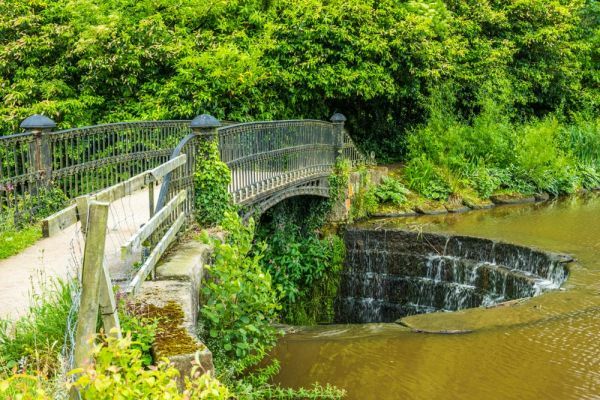 Location: Off the A61, 3 1/2 miles north of Harrogate.